During the incident, Bremer had a gun and threatened to take his own life. SAWYER COUNTY — A man has been sentenced to serve prison time on his methamphetamine and marijuana-related convictions in Sawyer County. Jason Bremer, of Menomonie, WI, was charged in Sawyer County Circuit Court following an incident that occurred in October 2018. 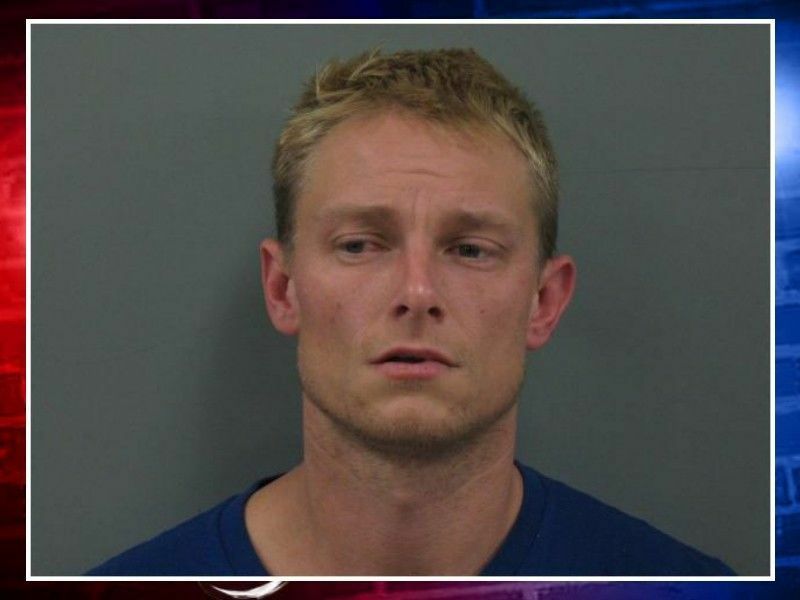 According to a press release from the Sawyer County Sheriff’s Office Bremer was arrested after a high-speed chase and a standoff situation that lasted nearly 3 hours. During the incident, Bremer had a gun and threatened to take his own life, according to authorities. After Bremer was taken into custody, several items of evidence were located, including a BB handgun and a gallon size ziplock bag containing 1.95 ounces of marijuana. When Law Enforcement executed a search warrant on the vehicle, several clear plastic bags were located containing a total of 20.91 grams of methamphetamine, along with a digital scale, and packaging materials were recovered from the vehicle. Bremer was charged with Class I Felony Vehicle Operator Flee/Elude Officer, 2 counts of Class G Felony 2nd-Degree Recklessly Endangering Safety, Class D Felony Possess w/ Intent-Amphetamine(>10-50g), Class I Felony Possess w/Intent-THC (<=200 grams), Misdemeanor Possess Drug Paraphernalia, and Misdemeanor Resisting or Obstructing an Officer. At a recent hearing the Court accepted pleas of No Contest from Bremer and found him guilty on one charge of Class G Felony 2nd-Degree Recklessly Endangering Safety, Class D Felony Possess w/ Intent-Amphetamine(>10-50g), and Class I Felony Possess w/Intent-THC (<=200 grams). The remaining charges were dismissed but read in. The Court ordered a 10 year sentence on Bremer’s conviction for Class D Felony Possess w/ Intent-Amphetamine(>10-50g); 4 years confinement in state prison followed by 6 years of extended supervision. On Bremer’s conviction for Class G Felony 2nd-Degree Recklessly Endangering Safety, the Court ordered an 8-year sentence; 4 years of confinement in state prison, followed by 4 years of extended supervision. For the conviction of Class I Felony Possess w/Intent-THC (<=200 grams), the Court ordered a 3.5-year sentence for Bremer; with 1.5 years confinement in state prison to be followed by 2 years of extended supervision. Bremer’s sentences are to be served concurrently with each other and concurrently with a sentence that he is serving on a Chippewa County conviction for other drug and gun related offenses. Details of the Chippewa County case are not known to DrydenWire.com. Conditions of Bremer’s extended supervision will require him to maintain absolute sobriety as well as comply with any conditions imposed by the Department of Corrections. SAWYER COUNTY -- A Menomonie, WI, man has been arrested after a 'nearly three-hour standoff' in Sawyer County, according to a press release from the Sawyer County Sheriff's Office. (Press Release) -- On 10/16/18 at 11:24 p.m., a Sawyer County Deputy attempted to stop a vehicle on CTH B in the Town of Round Lake. The suspect vehicle began to flee from the Deputy, who had his emergency lights and siren activated. The suspect vehicle proceeded eastbound on CTH B at a high rate of speed. The Deputy followed with his red & blue lights and siren activated. A few minutes later, the suspect vehicle crashed near the intersection of CTH B and Universal Drive in the Town of Winter. When the Deputy attempted to approach the suspect vehicle, the male driver exited the vehicle and shouted to the Deputy that driver had a gun. The Deputy took cover behind his squad and began a dialog with the suspect. The suspect put the gun to his own head and said he was going to take his own life. The Deputy then began a dialogue with the male suspect in an effort to get the suspect to surrender. The Sawyer County SWAT Team was activated. After a nearly three-hour standoff, Sawyer County SWAT Negotiators were able to get the suspect to surrender, at which time he was taken into custody without further incident. The suspect was subsequently transported to the Hayward Area Memorial Hospital for medical evaluation and after being cleared medically, was transported to jail. A male passenger in the suspect vehicle was treated and released at the scene. A female passenger in the suspect vehicle was transported to the Hayward Area Memorial Hospital with non-life threatening injuries. The names of the male and female passengers are not being released at this time. After the suspect was taken into custody, several items of evidence were located, including a BB handgun and a gallon size zip lock bag containing 1.95 ounces of marijuana. A search warrant was subsequently executed on the suspect vehicle. During the ensuing search, several clear plastic bags containing a total of 20.91 grams of methamphetamine, a digital scale, packaging materials were recovered from the vehicle. The male suspect has been identified as 32-year-old Jason J. Bremer of Menomonie, WI. The incident will be forwarded to the Sawyer County District Attorney’s Office for consideration of criminal charges against Mr. Bremer; including 2 Felony counts of Recklessly Endangering Safety, Felony Fleeing/Eluding an Officer, Felony Possession With Intent to Deliver Methamphetamine, Felony Possession With Intent to Deliver Marijuana, Misdemeanor Possession of a Schedule 4 Controlled Substance and Misdemeanor Possession of Drug Paraphernalia. You are advised that a charge is merely an accusation and that a defendant is presumed innocent until and unless proven guilty. The Sawyer County Sheriff’s Office was assisted by the Lac Courte Oreilles Tribal Police Department, the City of Hayward Police Department, the Price County Sheriff’s Office, the Park Falls Police Department, the Winter Fire Department, and Sawyer County Ambulance Paramedics/EMTs. This is all the information available at this time. This incident remains under investigation.